just in increased chick numbers alone! " Calcium Plus is a concentrated, pre-dissolved, highly bio-available form of calcium, vitamin D3, and magnesium formulated for maximum intestinal absorption. Calcium Plus is one of the most potent liquid calcium products available. 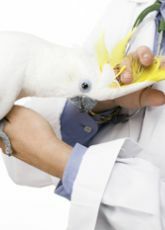 Calcium deficiency in birds can cause egg binding, feather plucking, splay legs, nervousness, poor muscle control and other health problems. Directions: Add four teaspoons of Calcium Plus per quart of drinking water, or one teaspoon per cup of fruits, vegetables, soaked seed, or softfood. Calcium Plus can be used in egg bound birds to aid in the expulsion of of the egg and in cases of soft shelled eggs to deliver calcium to the shell gland. 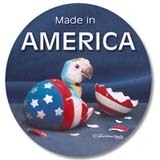 administer directly to the bird at the rate of one drop per two ounces of body weight. 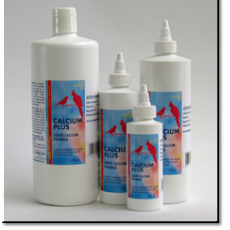 Calcium Plus should be administered to breeding birds, approximately four weeks prior to the beginning of egg laying and through the chick rearing period. 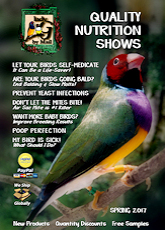 Feed once or twice per week to non-breeding birds and five times per week to breeding birds. SHAKE WELL BEFORE USE. Store in a cool, dry place. Protect from light.